This Low Impact Exercising Machine has it all! A genuine solid oak and steel NordicTrack ACHIEVER that looks and works as well as when it was first made in Chaska, Minnesota. The Achiever is a full-featured NordicTrack that's ideal for those interested in closely monitoring their fitness progress. With the Achiever, you can accurately measure, in pounds or kilograms, the resistance you're working your muscles against by using the calibrated resistance settings on the upper- and lower body exercisers. In addition, a slide guide helps you measure total calories burned during your NordicTrack workout. 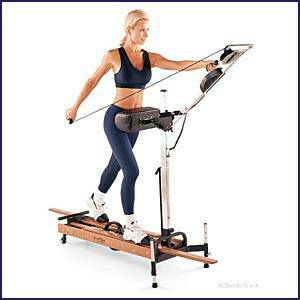 NordicTrack Achiever originally sold for over $799.99 in 1990's dollars! - that would be over $1,100 today. This is the Pre 1997 Original Quality Nordic Track PSI manufactured in Chaska, Minnesota and is made of WOOD and STEEL not plastic as they are made today in China. 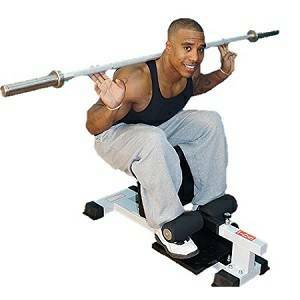 as Nordic Track Company Name was purchased by ICON Fitness and still uses the name NordiTrack.